Alanyuppie's LEGO Transformers: LEGO Springer Instructions.....!!!!!!!!!!!!!!!! Springer is a triple changer from G1 Transformers Cartoon Series. 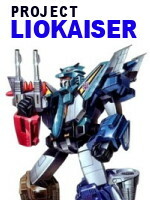 He transform into a futuristic helicopter and battle-car and of course, a robot. For those who are new to my works, Springer is the second MOC of mine that made it to brothers-brick.com few years ago. The official photo gallery is located here in my mocpages.com page, which I insist you pay a visit first. Before you proceed, just to let you know that I made some minor retooling after the photos above (and those that you see in the links above) , and before I compile the instructions early this year. A quick trivia: At first I plan to publish Blurr's instructions , but I found out that the instructions are poorly prepared (steep building curve). I decided to improve that in the future. Finally! A fitting end to my Sunday (it's about 8pm now in Malaysia where I lived =). I think I'm gonna pamper myself by opening this set later. I got a feeling that it will be a perfect match for my Swarm Interceptor to build a LEGO transforming mech in the future.